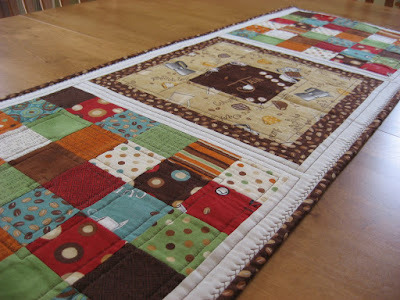 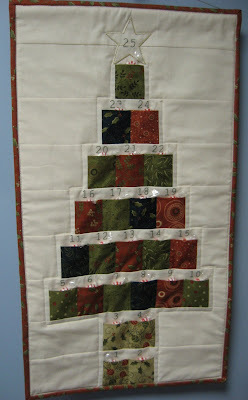 Hooked on Needles: Java Table Runner ~ Colorful Coffee Quilt for Your Table! 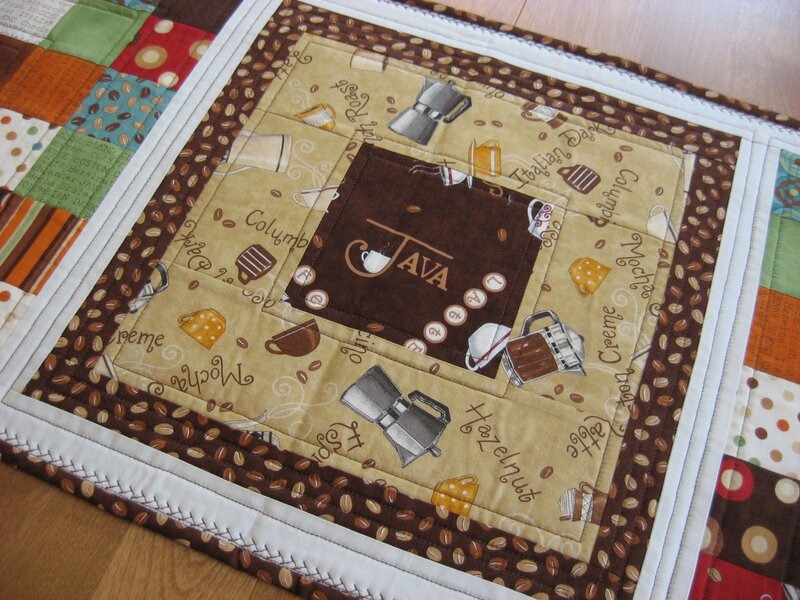 Java Table Runner ~ Colorful Coffee Quilt for Your Table! 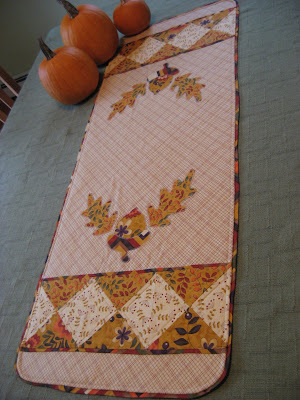 Lovely, warm, fall colors in a 39 1/2 x 14 1/4 inch table runner with a delicious coffee theme! Just look at all those coffee beans! 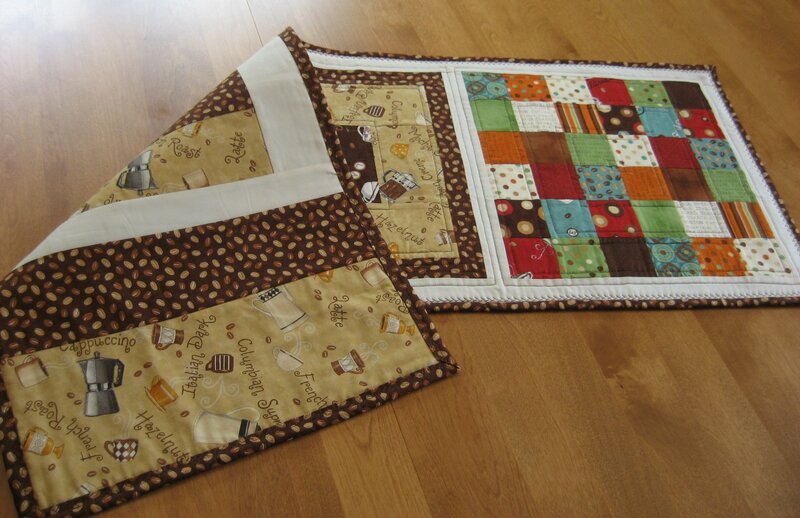 And coffee cups, pots, flavors...how delicious! 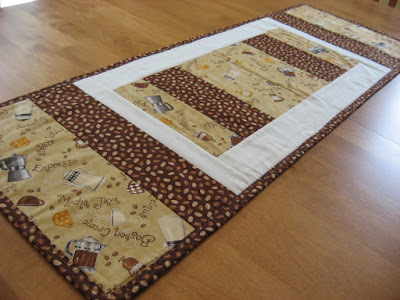 This table runner design is of my own making and used one charm pack of Java and some leftover coffee theme fabric from an apron I had made a while ago and some Kona bone colored fabric. 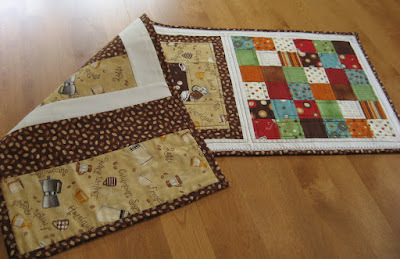 It is reversible as you can see. 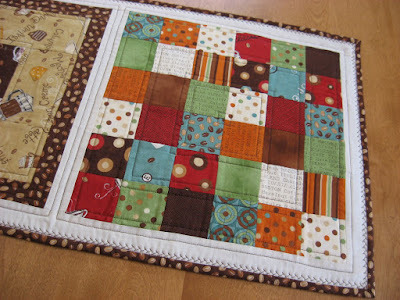 This little gem will be making an appearance over in my Etsy shop very soon, along with a few other new items I have completed recently, so be sure to stop over and take a peek.